We’ve just released a new book, Intercom on Starting Up. With the insane volume of startup literature already out there writing this book wasn’t a no-brainer for us. No one wants to add to the scrap heap. But if you restrict yourself to only reading articles from people who have actually created a business, hit some revenue target, or broken out of the MVP-in-an-incubator stage, there’s very few books and blogs left. This is why we hope this book is relevant to you. It’s not packed with startup clichés, nor is it steeped in myths about how huge companies got their break. Yes, Airbnb sold cereal before they were a 31 billion dollar company, and Slack was one hell of a pivot, but those wells have been over-drilled for their useful lessons at this point. This book is our honest, opinionated take on what we’ve learned building Intercom over the past 6 years. You won’t like it all, you won’t agree with it all, but you’re not supposed to. Your mileage will vary. This is also the most polished book we’ve published to date. 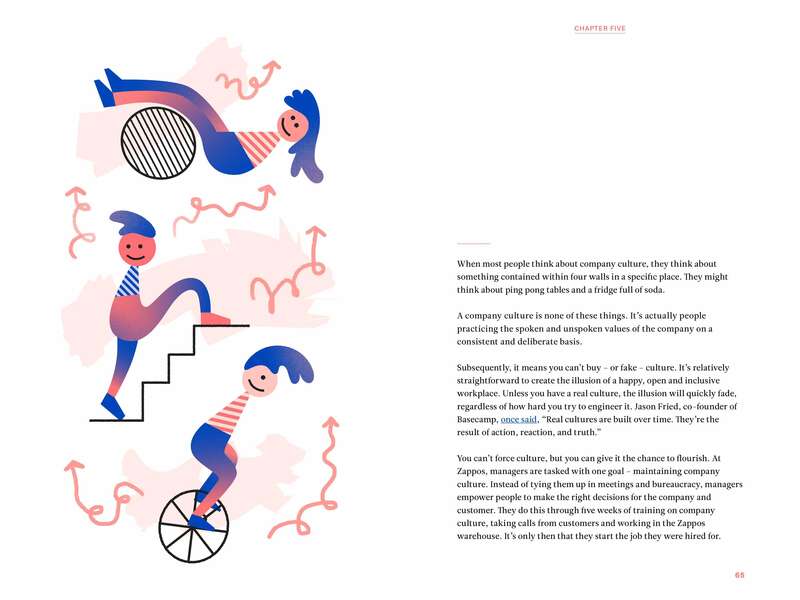 Available in a beautiful hardcover (or an equally beautiful PDF), it features over a dozen original illustrations courtesy of the Intercom Brand Studio, along with many fun, personal stories from the early days of building Intercom.